Or perhaps it was the annual Moonlight Memories Walk raising money for St Raphael's Hospice. If, this time you would like to be one of those people in a funny yellow wig, the opportunity is at hand. 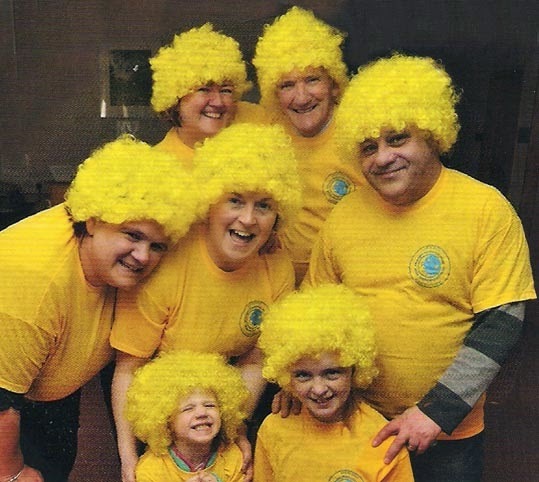 This very weekend, nay this very Saturday evening (4th October), good people from near and far will be donning such wigs of yellow, and indeed T-shirts and other adornments of a similar hue, and setting out to stroll the streets of North Cheam and Worcester Park in an effort to raise £50,000 - nearly as much money as St Raphael's needs to run for a single week. It all begins at 6pm at St Bede's Conference centre (which is just behind St Raphael's) with face painting, a bouncy castle, hot and cold food and indeed a bar. 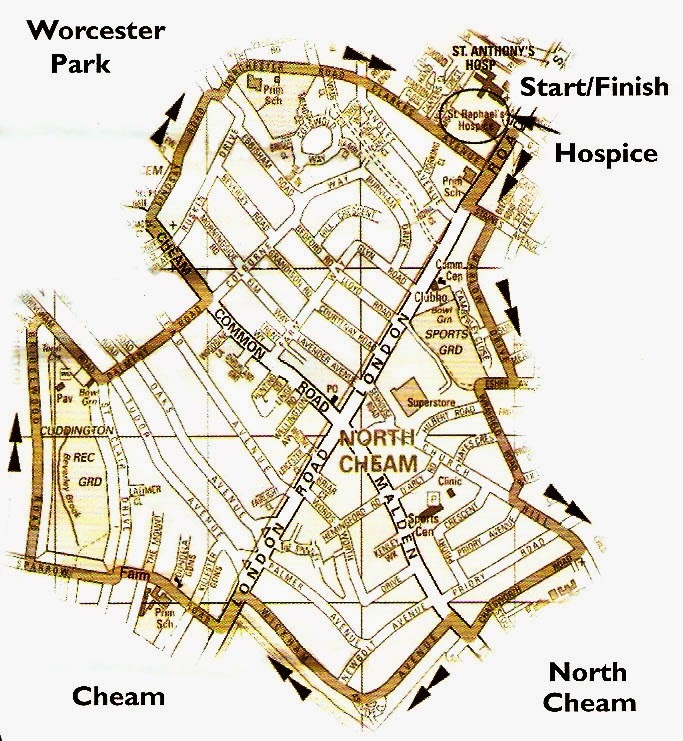 The actual walking begins at 8:30pm and follows a 5 mile route around the local area. Everyone is welcome to take part (children under 16 must be accompanied by an adult) and everyone is encouraged to ware yellow. A yellow t-shirt and presumably a yellow wig is provided. The cost of all this irreverent fun (it is a charity after all) is £15 for adults and £10 for children and you are encouraged to add some sponsorship to that as well if you can. You need to register before 12 midday on Friday (3rd October). To so do, be not hesitant in your emailing of louisa.hitchen@straphaelshospice.org.uk or indeed else your phoning thereof on 0208 254 2466. And who knows, maybe people will be wondering what you are doing wandering round in a yellow wig this Saturday night!